Providing you the best range of wool printed scarves & shawls, printed wool scarves & shawls, printed wool scarfs & shawls, printed viscose scarfs and printed wool scarf & shawl with effective & timely delivery. We are offering Wool printed Scarves & Shawls in a variety of fabrics such as silk, wool, viscose & polyester etc. Designs can be traditional, ethinic, floral, etc. Our range of printed shawls includes silk printed shawls and printed wool shawls. We are offering Printed Wool Scarves & Shawls in a variety of fabrics such as silk, wool, viscose & polyester etc. Designs can be traditional, ethinic, floral, etc. Our range of printed shawls includes silk printed shawls and printed wool shawls. We are offering printed shawls & scarves in a variety of fabrics such as silk, wool, viscose & polyester etc. Designs can be traditional, ethinic, floral, etc. Our range of printed shawls includes silk printed shawls and printed wool shawls. This is lovely scarf printed on 100% Cashmere scarves . The fabric is soft and has got a nice feel. Great scarf for your winters. Also offering a wide range of other patterns/designs. 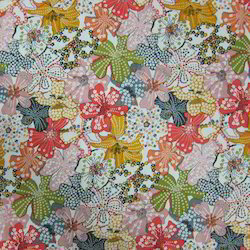 We also offer digital printed viscose in various fabric qualities. Apart from printed scarves, we also carry a wide array of woven and jamawar scarves & shawls. Do check our website for more. We are offering Printed Wool Scarf & Shawl in a variety of fabrics such as silk, wool, viscose & polyester etc. Designs can be traditional, ethinic, floral, etc. Our range of printed shawls includes silk printed shawls and printed wool shawls. Looking for Screen Printed Scarfs ?